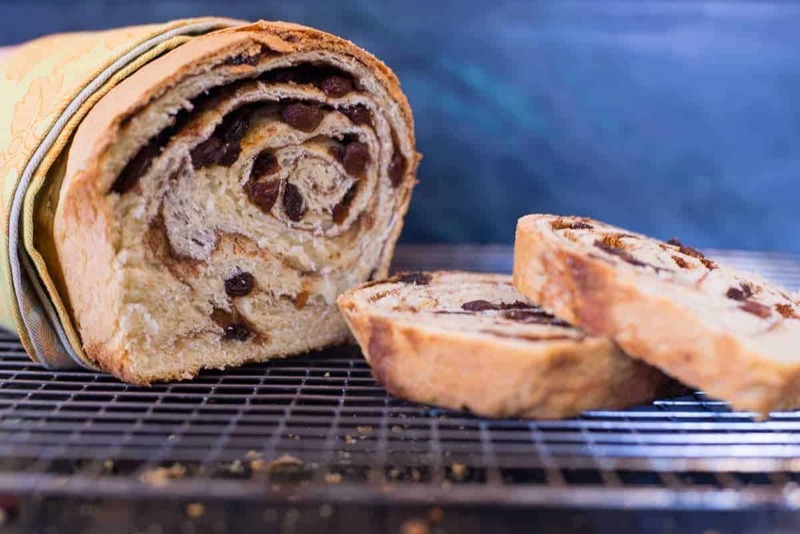 Making Cinnamon Raisin Swirl Bread is easy! This sweet, tasty loaf is sure to be a favorite in your house, too. A self admitted carb addict – my mom has always loved baking bread. She was also quite skilled at it. She even made English muffin bread in this weird glass tube that she used to have. I remember the way it smelled in the house when she baked it. That bread was really really good. I am going to have to get that recipe from her, too! Fresh baked bread is one of those things that always makes me feel nostalgic. It reminds me of home. Contrary to popular belief, bread IS easy to make. When you think of how much a really good loaf of bread costs, you can argue that learning to make bread is also a huge money saver. Not to mention, all of the artificial preservatives in store bought bread. Yuck! 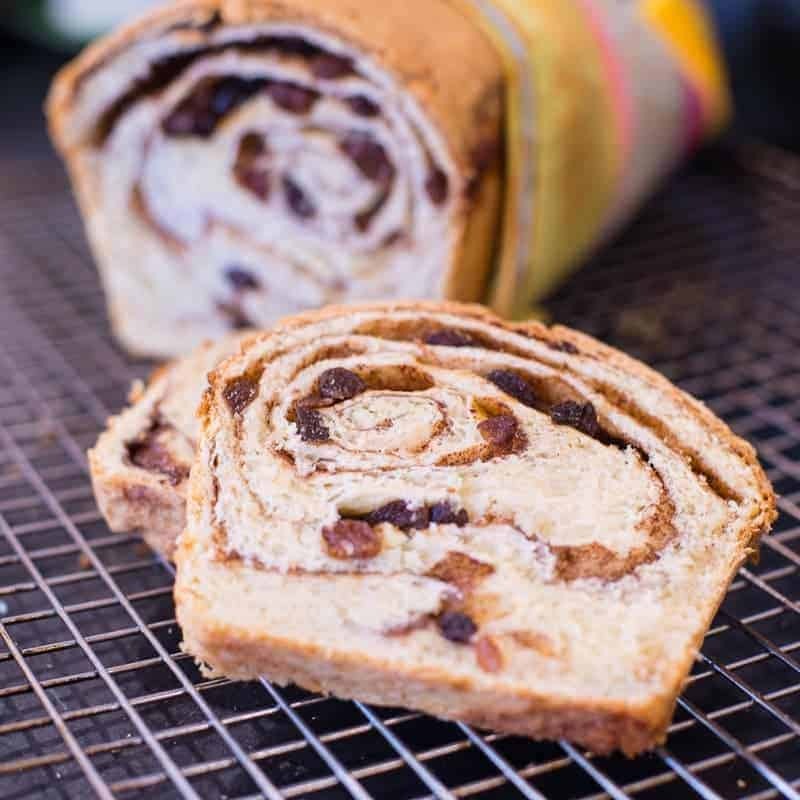 This cinnamon swirl bread is still a favorite of mine. Bread is one of those things that I don’t eat a lot of. So when I do, I make it count! I can remember my mom baking this cinnamon bread when I was a kid. She never put raisins in it though; my dad was never a fan of raisins in food. I kind of the like the sweet chewy little morsels in my bread, especially when this bread is toasted and slathered with melting butter. Oh man, that’s the ticket! My mom would also glaze this bread with a sweet icing. I left it off this time. I’m not a fan of the super sweet glaze. Feel free to make it if you like it. I hope you enjoy this recipe as much as I do. Making family recipes always makes me nostalgic. 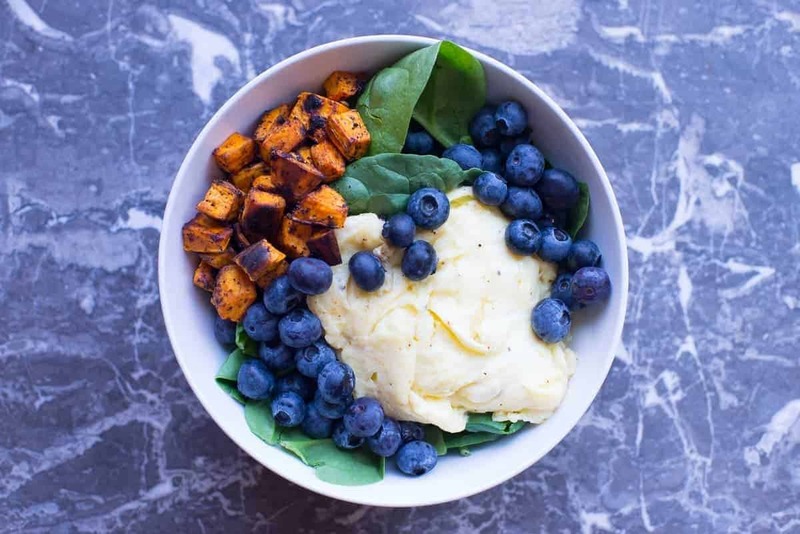 If you love our recipes at Foodology Geek and don’t want to miss a thing, sign up for our email. As a thank you we will send you our Top 5 Master Spice Mix Recipes. 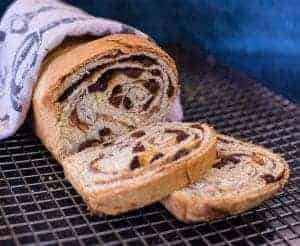 Easy to make cinnamon raisin bread. The recipe makes two loaves. Cut the amounts in half if you only need one loaf. In a saucepan heat milk, sugar, butter, and salt just until warm. Beat at low speed for 30 seconds. By hand stir in enough flour to make a moderately soft dough. (up to 7 ½ cups) This amount will vary depending on how humid it is in your area. You will know you have enough flour when the dough is smooth and not sticky. Shape into ball and place into a lightly oiled bowl. Cover and wait for dough to double in size. Roll each half into a 15 x 7 inch rectangle. 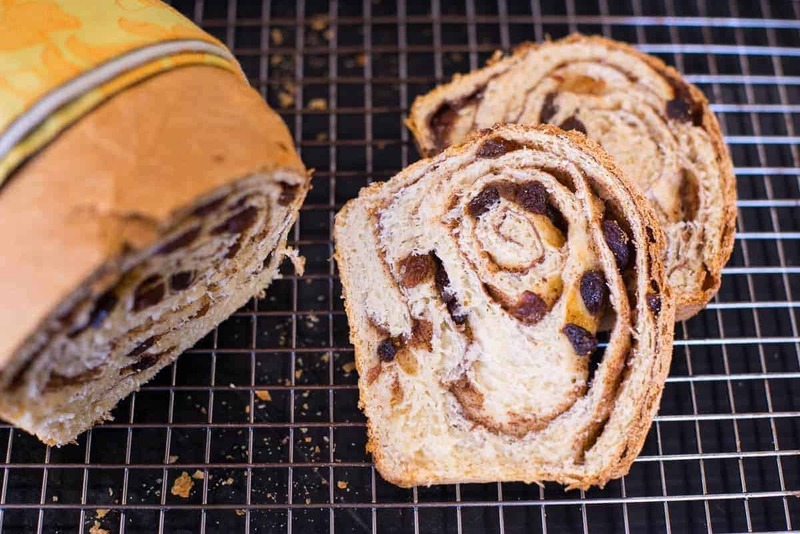 Roll dough up in a jelly roll fashion. Place rolled dough loafs in greased loaf pans, cover and rise until doubled in size. Bake at 375℉ for 35-40 minutes. Loaves should be golden brown. Mix all ingredients and then drizzle on bread. Variations: This dough is great for cinnamon rolls. When I make cinnamon rolls I like to add a nice slathering of soft butter to my rolled out dough before I add the cinnamon and sugar. 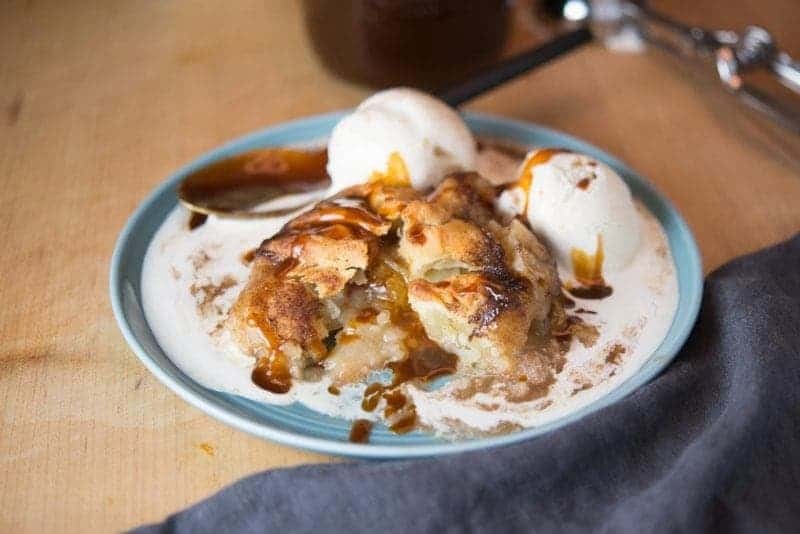 The ensures that you will get a nice caramel when they are baked. Orange zest is also nice in the glaze. You can use a little zest and orange juice instead of milk. Also a nice cream cheese frosting is great with cinnamon rolls. Check out ours with our banana cake recipe here.